This crispy, fresh salad is inspired by one of my favorite restaurants in Arlington, VA, Liberty Tavern. We used to eat there a lot in our pre-kid days. 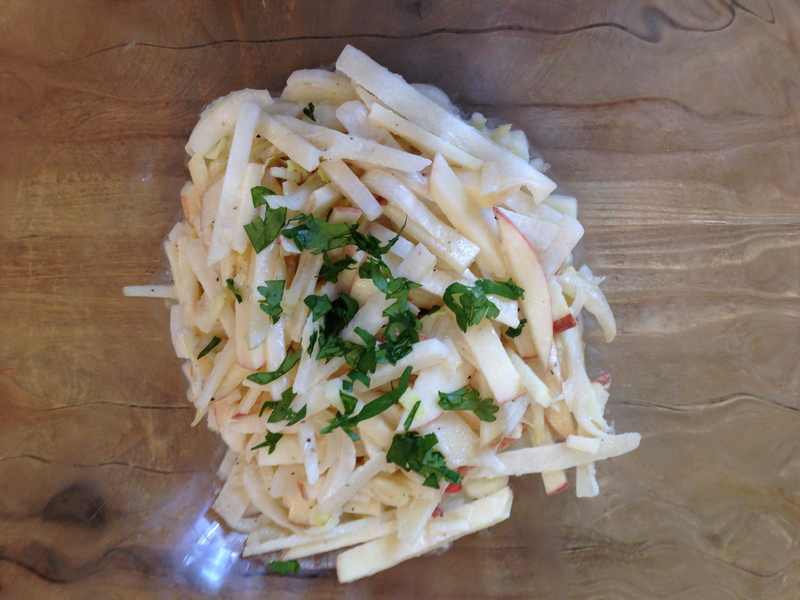 Once for dinner at Liberty Tavern, we enjoyed a salad with julienned apple, endive and jicama tossed in a creamy/tangy dressing. It was an unexpected combination of flavors but we really enjoyed it. 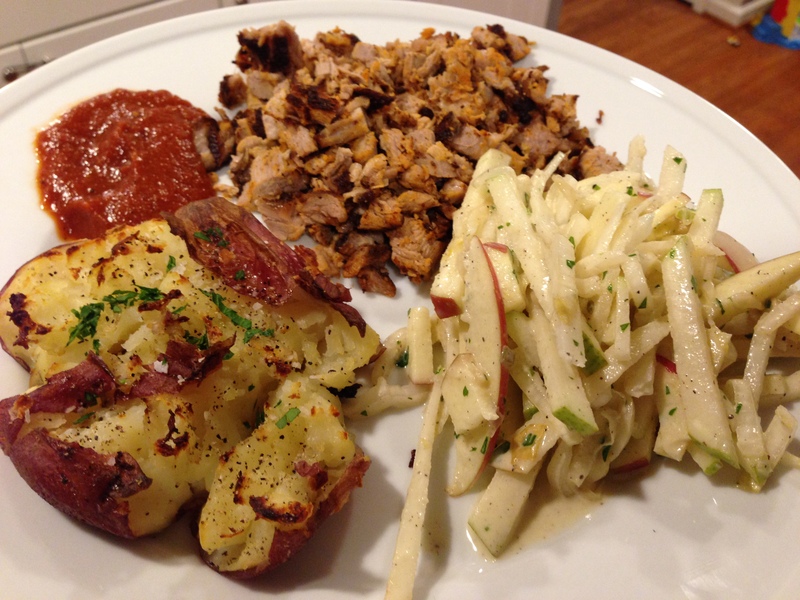 I did my best to come up with a copycat version and we have enjoyed it as a side with spicy foods for years. I used this recipe for homemade mayo as the base for the dressing. Give it a try sometime, its a cool and refreshing compliment to spicy food but would go well with any dinner! In a separate bowl, mix all ingredients and whisk until smooth. If too thick add more coconut milk. Top with chopped parsley or cilantro. Note: I always use canned coconut milk, I prefer the Thai Kitchen brand. Before adding coconut milk to recipes, I strongly recommend opening and blending the contents of the can. I use my immersion blender to achieve a smooth consistency, then store the milk in a mason jar in my fridge for roughly one week.